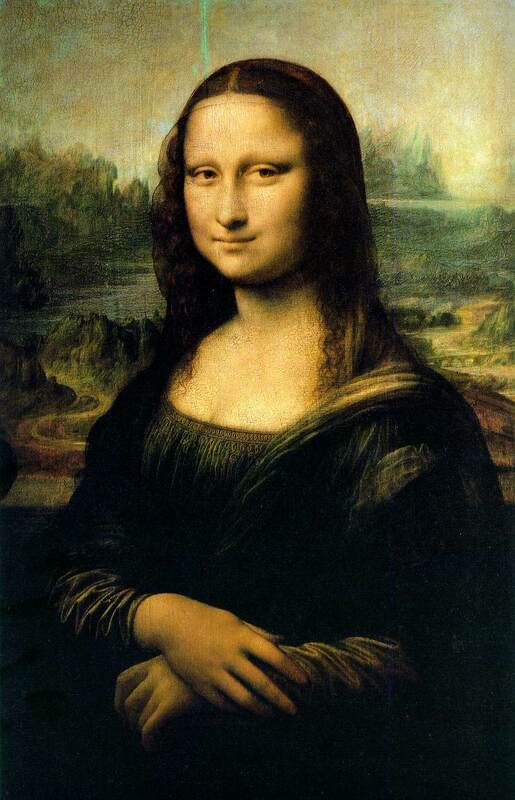 This well-known work of Leonardo da Vinci (1479-1528) has been admired, copied, stolen, exploited, and parodied. Here I give it a few doses of computer animation (using Photoshop and GifBuilder). See La Joconde for Nicolas Pioch's excellent online introduction and a large image. Mona Celebrates "Life is a Banquet"